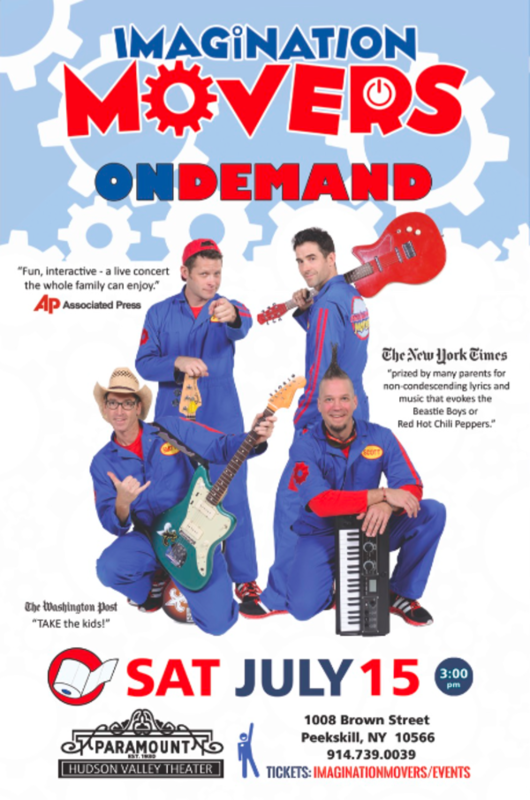 One lucky Macaroni Kid reader will win 4 tickets to see the Imagination Movers Live at the Paramount Hudson Valley Theater on July 15, 2017 at 3PM AND get a VIP Meet and Greet pass after the show! To enter, complete the entry form below. Please only enter this contest if you are available that day. Deadline to enter is July 5, 2017. Winner will be selected on July 6 at 9AM using random.org, and contacted via email. Must be a current Macaroni Kid subscriber to enter. For full contest rules, visit http://bit.ly/2t72gcW.